Dana Willis, 75, Gray passed away Saturday, February 2, 2019 in the Johnson City Medical Center after a brief illness. A native of Hampton, he was a son of the late Joseph Avery & Myrtle Ruth Tolley Willis. He was a 1963 graduate of Hampton High School. He served in the United States Navy. Dana was retired from Tennessee Eastman as a Chemical Operator. 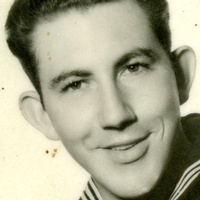 He was a member of the USS Yorktown CV-10 Association and the Elizabethton Senior Citizens. He was of the Baptist Faith. In addition to his parents, he was preceded in death by his wife of 50 years: Mary Etta Caldwell Willis, who died April 19, 2015 and by a brother, Albert Willis. Survivors include his Children: Dana Andrew “Andy” (Janis Malina) Willis, Blountville, Robert Lee (Lindsey Scarlett) Willis, Gray, Jimmy Dale (Delores Louise) Willis, Telford and Charles Joseph (Tina Marie) Willis, Elizabethton. Seven Grandchildren: Justin, Jesse, Susan, Hannah, Brittany, Ella & Avery Willis. One Great Granddaughter: Elizabeth. Two Sisters: Eloise Hyder, Hampton and Glenda Hyatt, Elizabethton. One Brother: Raymond Willis, Elizabethton. Several Nieces & Nephews. Funeral Services will be conducted at 7 p.m. Wednesday in Memorial Funeral Chapel with Danny Willis officiating. Graveside Service and Interment will be at 10 a.m. Thursday in Happy Valley Memorial Park. Active Pallbearers will be Sons & Grandsons. Honorary Pallbearers will be: Olin Conkin, Robbie Lane and Garrison Haywood. Military Honors will be provided by the Carter County Honor Guard. The family will receive friends from 5 to 7 p.m. Wednesday in the funeral home. Family and friends will assemble at the funeral home at 9:20 a.m. Thursday to go the cemetery. Condolences may be sent to the family at our web-site www.memorialfcelizabethton.com.